Australia will start favourite to win their WC quarterfinal against Pakistan at the Adelaide Oval on Friday not only because they have the team with the better all-round strength but also because there is a hint of fragility about the batting unit in Misbah-ul-Haq’s team. 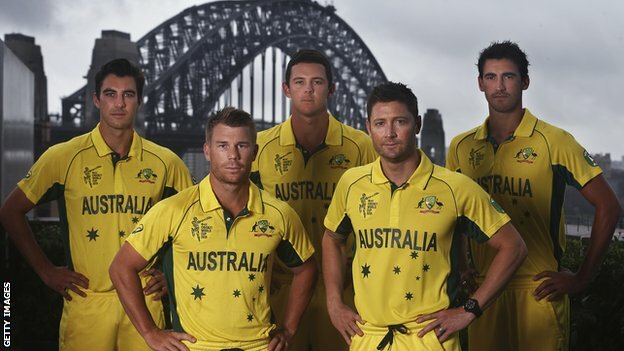 Curiously, Australia captain Michael Clarke expects a wonderful, entertaining game. Well, the showdown between Australia and Pakistan will certainly be an interesting one. No quarter-final of an ICC Cricket World Cup should be easy, but Pakistan is really gaining some momentum at the right time of the tournament. Both teams have played well to date, the only real test for Australia recently was Sri Lanka at the SCG. Of course, the game against New Zealand, which was a nail-biter, where I reckon the New Zealand crowd willed its team on to win that match. Pakistan, on the other side, really looked out of sorts trying to find the right combination at the top of the order. This is something I have said all along is an important part to winning the World Cup runs are crucial at the top of the order. The Pakistan team management has tried a quiet a few different combinations at the top of the order but nothing has seemed to work. Finally they maybe just have found their man to help their cause at the top of the order. Sarfraz Ahmed, its wicketkeeper-batsman, has been promoted to the top of the order to do a job. He made a well complied 49 against South Africa and a hundred versus Ireland. He will give good support to Ahmed Shehzad who himself has been going ok. It was a tough start to the tournament for Pakistan playing against India in Adelaide, but recently they have really started to play well and it’s amazing what a little bit of confidence and belief can do. I believe the game in Brisbane was identified as a place where momentum could be built in this tournament. Up until this point the captain was the only one really standing tall, but then the bowlers in this match really gave them what they needed a win against Zimbabwe when they hadn’t played so well. Mohammed Irfan and Wahab Riaz were outstanding and really bowled well in the conditions on the night to give its team what it needed, and it was the case again last night. They also did it against South Africa and it was this game that would have given this group lots of belief that just maybe they could do something in this tournament. Irfan has been ruled out but you get the feeling that Pakistan is going to cause an upset against Australia if it can get a total on the board as they have the bowlers to do well. For Australia, after the first match everyone walked away going ‘Well don’t Australia look good?’ but their journey to this point has been a little wobbly, you might say. The rained-off match against Bangladesh caused them a lot of headache that they didn’t need that at that point in time. The New Zealand match has been much talked about, but really Australia would be feeling very confident because they have really controlled the controllable. The way Darren Lehmann has got these boys to this point is all you can do. It’s the first tick of the box – they have made it to the quarter-final – now it’s about getting all the various things right. What I mean by all things are the basics. Partnerships at the top of the order, wickets in hand at the end and during the Powerplay so that the team can really advance its score. From a bowling point of view, be really tough on giving away any extras, aggressive up front with the new ball, deliver our change ups with the right fields and execute our yorkers under pressure. This is the part Pakistan has to get right on the night now. It’s been great to get to the finals, but now it needs more than one or two players playing well on the night. Pakistan needs everyone to contribute if they’re going to rattle the cage of Australia. Just maybe they can return to the scene of crime in Adelaide where it all started and unsettle the Aussies. This match will have it all – a packed-house under the lights at this amazing venue and Adelaide have done really well with their games. I am sure it will have its usual support for Pakistan but I am expecting a huge Aussie support on Friday night. For both teams now it’s the knockout stages, so there’s no tomorrow, as they say.